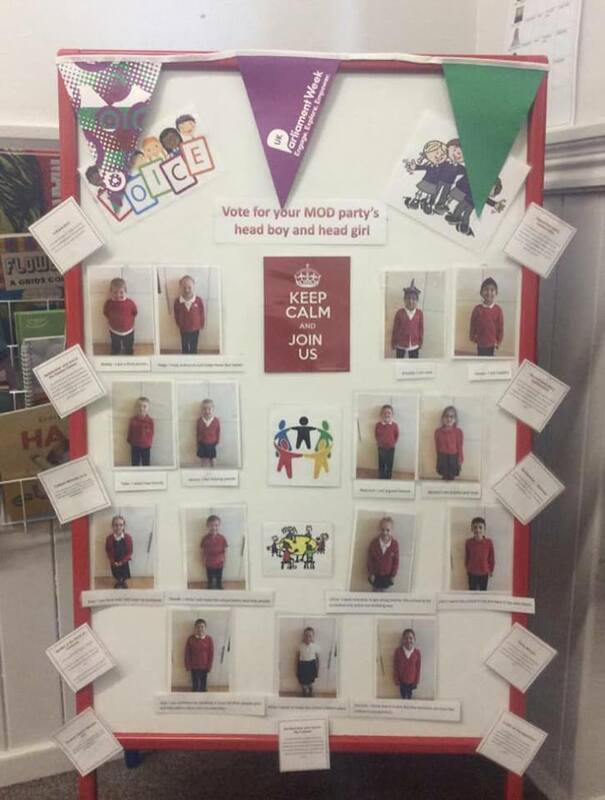 The Members of the Democratic Party (AKA MOD Party) are elected each year to represent their peers to change and shape the development of Oakwell Rise. They meet frequently to talk about the changes they would like to make. A crucial part to their role is to present key concerns and thoughts to their classes and instigate votes and gain views. They then present the pupils voice back to the whole MOD party group. Select members are then required to present the pupils voice to the Senior Leaders of the school who can instigate change. 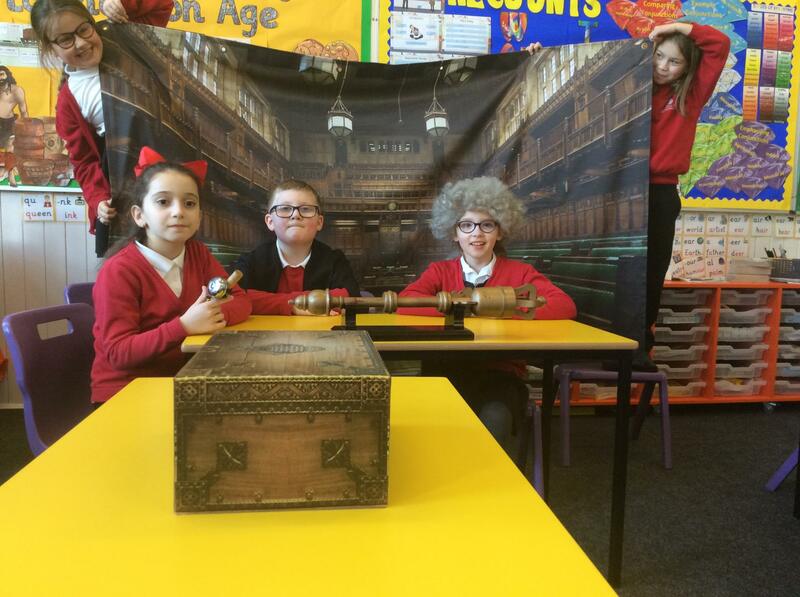 The MOD party received a box full of items from the British Government to assist with learning all about British Law. An assembly was held to demonstrate their knowledge of laws, rights and responsibilities and democracy. The MOD party used all the items to demonstrate a debate in the Houses of Common: mace, bell, wig, robes and the Speaker's Box - which has actually sat in the Houses of Common.